Isn’t she a beauty? 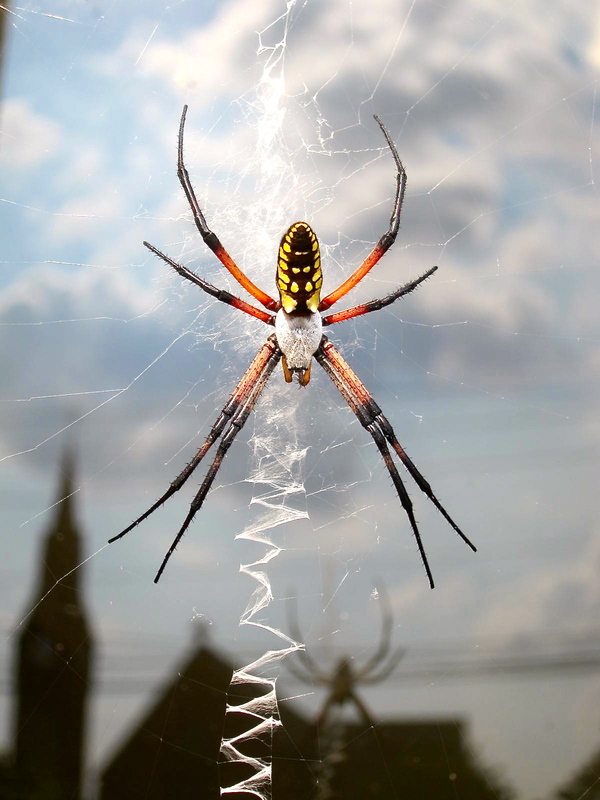 I discovered this huge Black and Yellow Garden Spider just hanging out at the church… but then again, she’s probably pondering her next meal (or mate). ellen, what an exceptional photograph – the reflection of st. p & p and the spider make for an eerie image! good job, my friend.